Posted 3rd December 2018. Last updated 6th December 2018. If Belco’s integrated resource plan proposal is anything to go by, the utility is steering a Titanic-like course through a sea of ice. 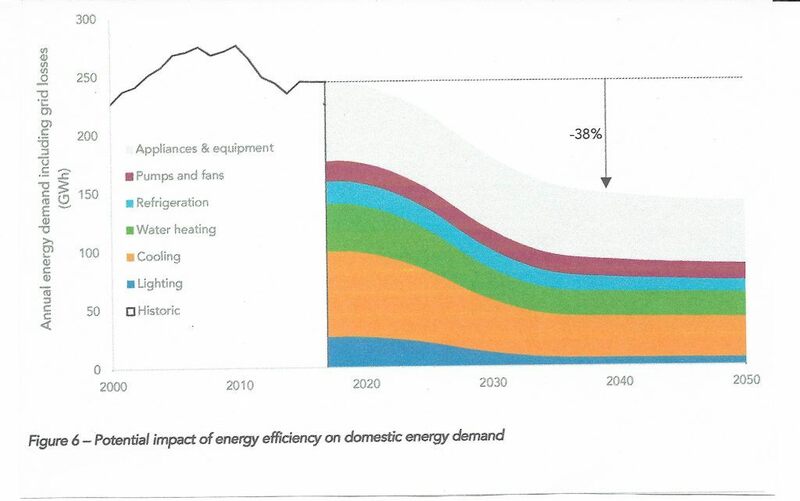 Iceberg No 1: energy efficiency and conservation. Belco has built its financial projections on the assumption that it will be selling the same amount of electricity in 2038 as it does today. By contrast, the Government has set an aspirational target of 15 per cent reduction in energy use and, behind the meter industry professionals, expect the demand for electricity to drop by 30 per cent. Iceberg No 2: cheap solar. As the Government moves towards lowering the cost of energy, it is likely it will take the necessary steps to further reduce the soft costs of distributed solar. In addition, consumers will realise savings from sourcing their own systems directly from North American wholesalers, which will shift local providers from low volume/high price to higher volume/lower price business models, lowering the cost of distributed solar by 30 per cent to 40 per cent within the next five years. Iceberg No 3: rapidly falling battery prices. Bloomberg New Energy Finance predicts that utility-scale battery storage will be at four cents per kilowatt-hour by 2025. Home battery storage for rooftop solar typically cost twice that of utility-scale solar.